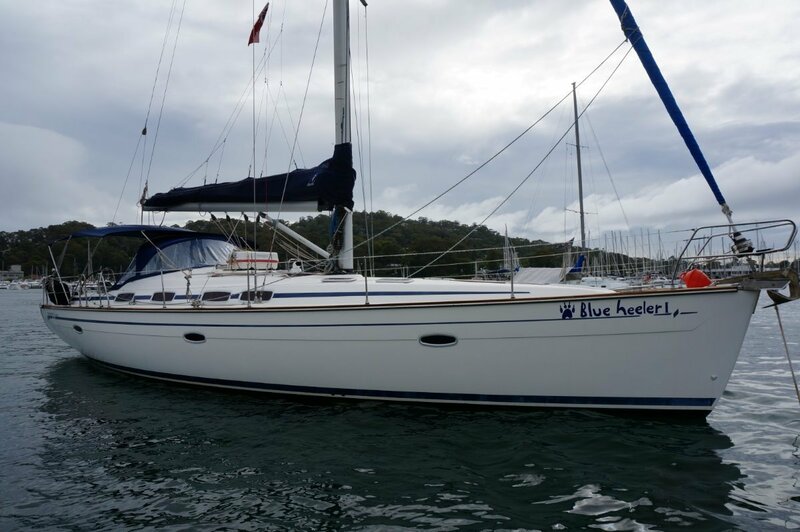 A strong and reliable boat, she was fitted out in 2014 to carry its owners across two oceans from the Mediterranean to Sydney. From Europe, she was underused for years due to the GFC and a lack of easy access cruising grounds around her original port of Rome. 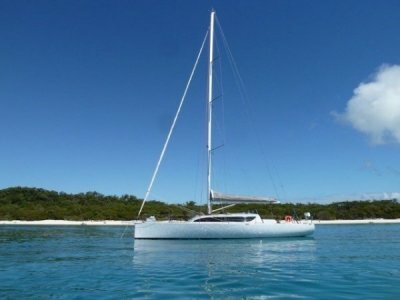 A major re fit for ocean sailing in 2014 included overhauling the running rigging and reefing systems, an update to the steering system, and a new liferaft and safety systems. 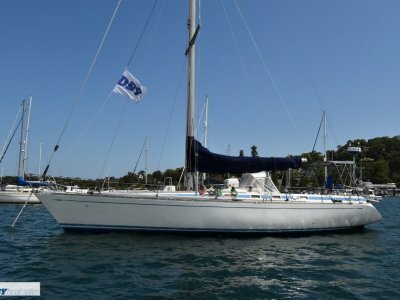 New sails, a fully battened main and furling headsail were commissioned for the Pacific leg of the trip as well as a brand new Tohatsu outboard. She points well to windward and loves a good breeze whilst handling bigger ocean seas elegantly. 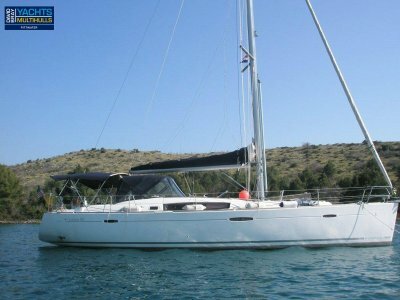 Her owners calculate an average cruising speed of 6.5 knots for passage making, but will often make a speedier arrival if sailing on a beam or to windward. 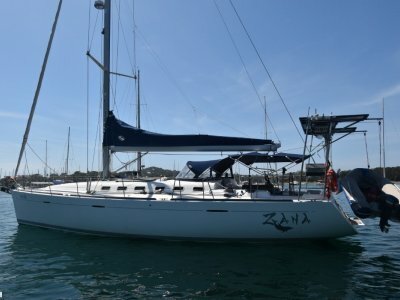 With a luxurious interior that can accommodate 8 and a spacious cockpit made for the Sydney climate, she can provide you a stylish platform for entertainment in local waters, or she can be sailed with a crew of two to all the distant shores you wish to explore. Engine Notes : Excellent condition. Serviced April 2016. Generator : Aquair Tow generator 100w with windo conversion kit 2014. High output alternator on engine with 150amp diode splitter. Battery monitor. Accommodation Notes : Very roomy cabins with 6ft 6 inch headroom throughout. New saloon upholstery 2016. Cabins - 2 x Queen, 1 x master, double-bunk crew cabin. Stove : Eno gas - 2 burner + oven. Refrigeration : Large fridge, bar fridge with freezer. Anchor / Winch : Bruce 50kg and emergency 2nd anchor 15kg Plough. Electric Lofrans windlass (double sided for chain and rope) with dual control fwd and at helm. Deck Gear : Double beak aluminium spinnaker pole, Lewmar 40 winches x 2, Lewmar 50 x 2,8 clutches in cockpit. Mast/Rigging : Selden 2005. S/steel. Backstay tension cable replaced 2014. Furlex 200 on headsail. Single line reefing in boom overhauled with new Dyneema 2014.3 x reefs. 2 x Dyneema halyards 2014 + ropes. Sail Inventory : Fully battened main 2015, furling headsail. Lee sails. Original Elvstrom main. Electrics : Kyocera solar panel 1 x 180W. 2 x AGM Mastervolt house batteries new 2014,540AH total. Engine starter battery new 2016. Electronics Navigation : Raymarine C70 plotter, TriData, Autohelm Smart Pilot and wind indicator. Safety Gear : 8 man Plastimo Transocean new 2014.407 Hz EPIRB new 2014. Covers : 2017 Dodger. Large bimini, sail bag. Ground Tackle : 100m gal chain new 2014.20m spare chain. Has Navigation Lights : Tri colour mast-top. Radio : VHF submersible new 2014. Remarks : Fire equipment certified December 2014. In excellent condition.